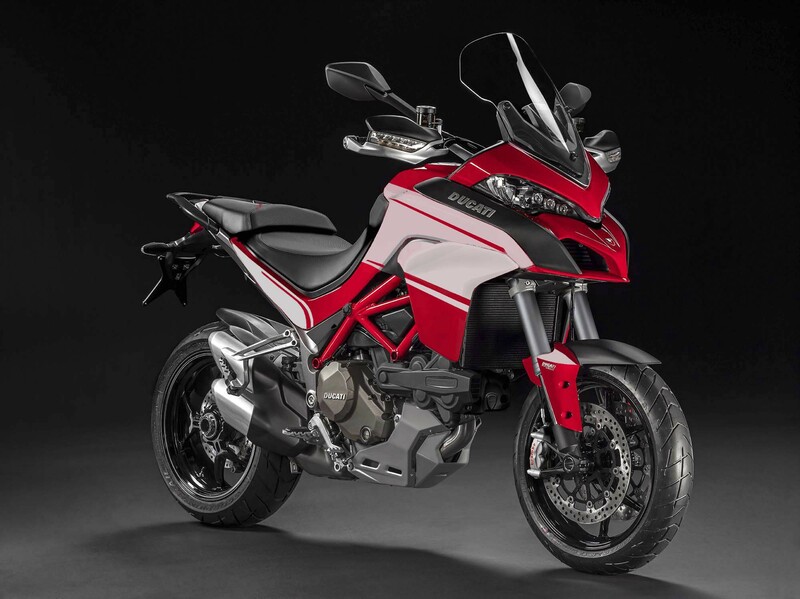 Ducati Motor Holding S.p.A. is the motorcycle-manufacturing division of Italian company Ducati, headquartered in Bologna, Italy. The company is owned by German automotive manufacturer Audi through its Italian subsidiary Lamborghini, which is in turn owned by the Volkswagen Group. In 1926 Antonio Cavalieri Ducati and his three sons, Adriano, Marcello, and Bruno Cavalieri Ducati; founded Società Scientifica Radio Brevetti Ducati in Bologna to produce vacuum tubes, condensers and other radio components. In 1935 they had become successful enough to enable construction of a new factory in the Borgo Panigale area of the city. Production was maintained during World War II, despite the Ducati factory being a repeated target of Allied bombing. The Ducati 888 was a motorcycle manufactured by Ducati as an upgrade to the Ducati 851. The earlier 851 had introduced liquid cooling, computerized fuel injection and four-valve heads to the company's two cylinder motors. 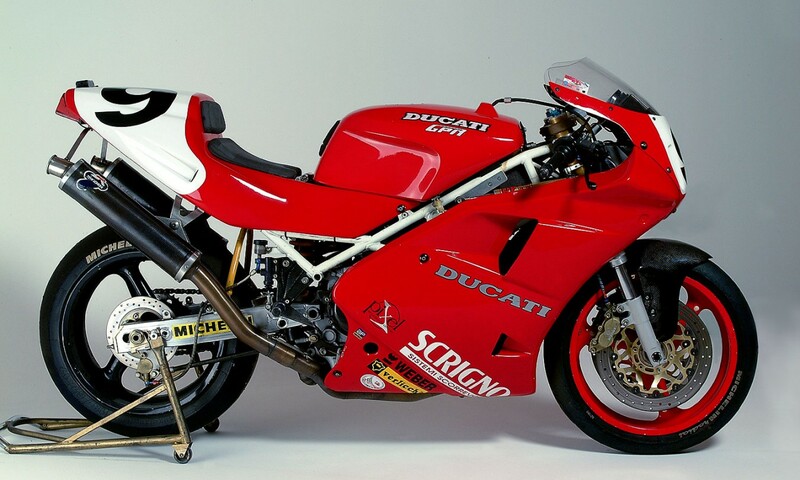 In 1991 Ducati increased the capacity of the 851 to 888 cc to create the 888. Both engines featured the Desmoquattro valvetrain concept in which a four valve per cylinder motor was given desmodromic valve actuation, with cams both opening and closing the valves. Ducati's desmodromic system reduces the frictional penalty from conventional valve springs. Riding the Ducati 888, Doug Polen won first place in the 1991 and 1992 World Superbike Championships. After losing to Kawasaki in the 1993 World Superbike Championship, Ducati ceased production of the Ducati 888 and released the Ducati 916 which had a larger engine capacity. Continuing refinement yielded the next two generations of the Ducati Desmoquattro superbike, resulting in the 916/996 and 999 lines. In a 1993 road test of the 888SPO, Cycle World measured a 0 to 1⁄4 mile (0.00 to 0.40 km) time of 11.25 seconds at 123.45 mph (198.67 km/h), and a 0 to 60 mph (0 to 97 km/h) acceleration of 3.3 seconds. They measured a top speed of 152 mph (245 km/h) and a braking distance of 60 to 0 mph (97 to 0 km/h) of 123 ft (37 m). 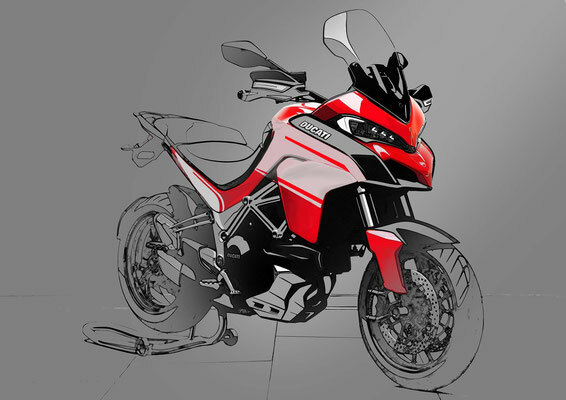 The wet weight of their test bike was 497 lb (225 kg) and the rear-wheel horsepower was 94.0 hp (70.1 kW) at 8,740 rpm, and torque was 59.4 lb⋅ft (80.5 N⋅m) at 7,000 rpm.